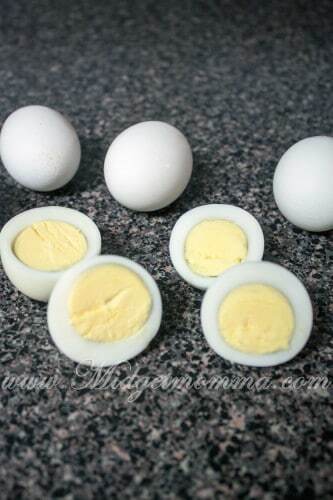 What is the Difference between Hard Boiled Egg's vs Hard Baked Egg's? What is the Difference between Hard Boiled Egg’s vs Hard Baked Egg’s? Lately I have seen a lot people talking about hard bake eggs on Pinterest. They claim that if you bake the egg it will taste just the same as a boiled egg, some even say it’s better. 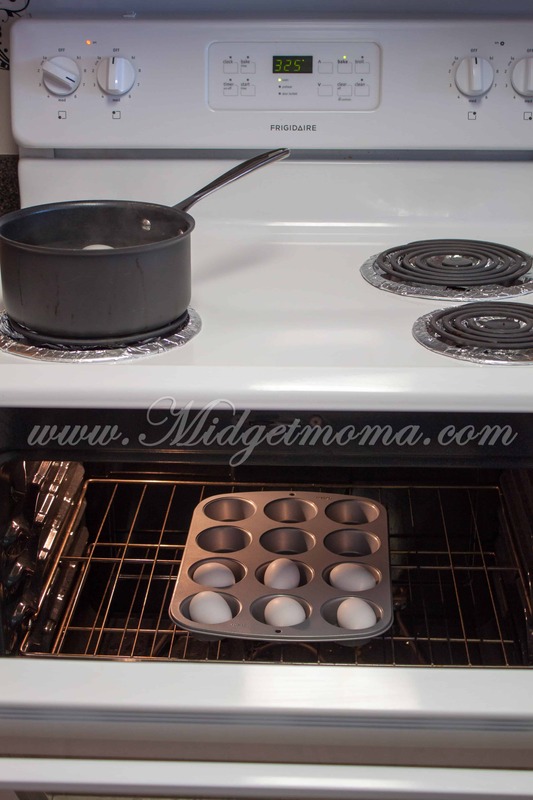 They also claim that it makes peeling an egg a lot easier when you do with the baked method. I figured I’d put it to the test and see the difference between a hard-boiled egg and hard baked egg. I start with the normal hard boiled egg. I placed the eggs into the pan and then fill it with cold water to cover the eggs. 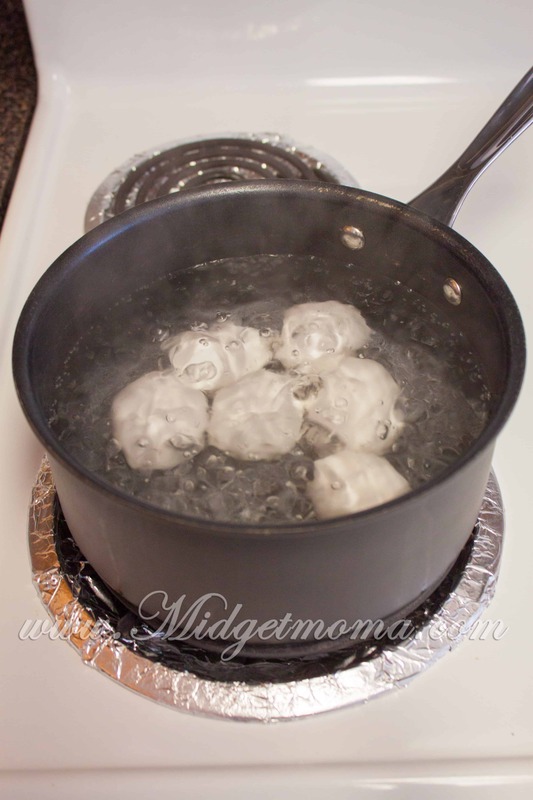 Then place them on the stove on a medium-high heat until they reach a full boil. Once they come to a full boil turn off the heat and cover with the lid. Let them sit for 12 minutes off the heat to finish cooking. 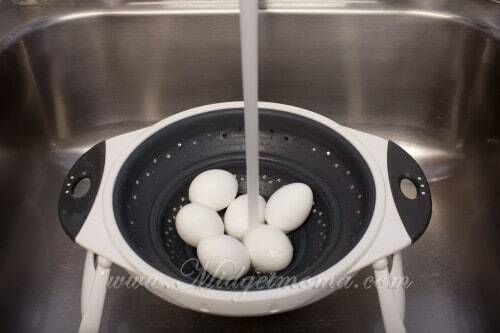 After 12 minutes transfer the eggs into a colander and rinse with cold water. Place eggs in the fridge for an hour to cool completely. Now the new hard baked eggs recipe. 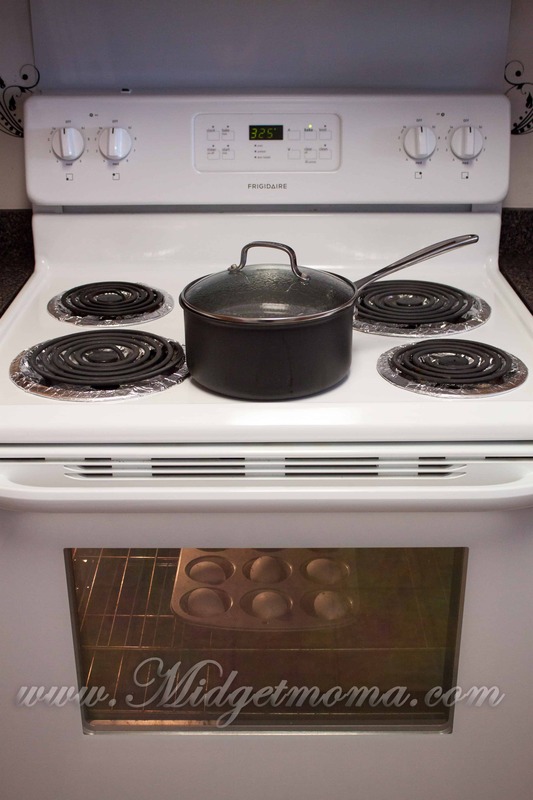 Preheat your oven to 325. Place the eggs into a muffin tin to help them from not rolling around. Place them in the oven for 30 minutes. After 30 minutes minutes transfer the eggs into a colander and rinse with cold water. Place eggs in the fridge for an hour to cool completely. Once they cooled it was time to test the difference between the two eggs. The first difference I noticed was on the shell of some of the baked eggs, there were some brown spots. After peeling both of them I wasnt able to see the difference between baking and boiling eggs as far as peeling with ease. Once I cut into the eggs they look identical. Neither of the eggs had any green rings around the yolks which you tend to see when you have a boiled egg. Now down to the best part the taste…. They taste the same! I’m not sure why some people were saying when they said that the baked eggs tasted better, if you had blindfolded me I would not have known that they are two different eggs. I did like the hard baking eggs because you just put them in the oven and forget about them for a half hour. Normally when I’m making them on the stove I have to sit there and wait for it to come to boil, so it just saves you one step doing it this way. 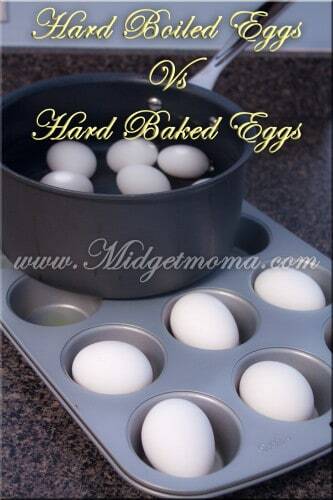 Now that you’ve seen how to do this a new way, give it a try and let me know which way you like your eggs hard boiled or hard boiled. I’ve baked them before and one good thing about baking them is that you don’t have to worry about them breaking when they come to a boil. I often lose at least one egg to cracking when I boil them.